In June 2016, game developer Sophie Houlden held a month-long game jam inspired by Star Trek. 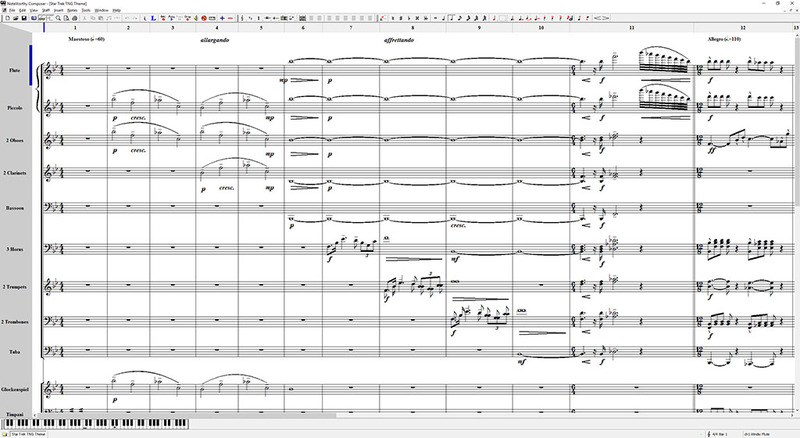 Although my initial plan was to actually make a game, after one thing and another I ended up radically de-scoping and I decided instead to re-arrange the Next Generation theme music, as an exercise in orchestral writing. Working from a piano score and my nostalgia for the original, I turned out this take on the classic. The show’s original version (one of them—there are a few slightly different variants used in different seasons) can be found on YouTube here.